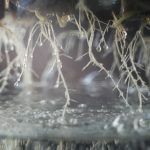 To maximise the potential of a plant and ensure that it grows strong and healthy, you need to deliver just the right kind of light radiation. 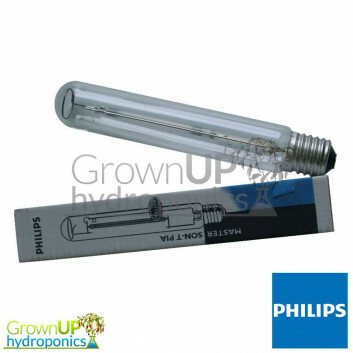 These bulbs have been enhanced to produce the perfect balance of blue and red light and benefit your plants at crucial stages in their development. 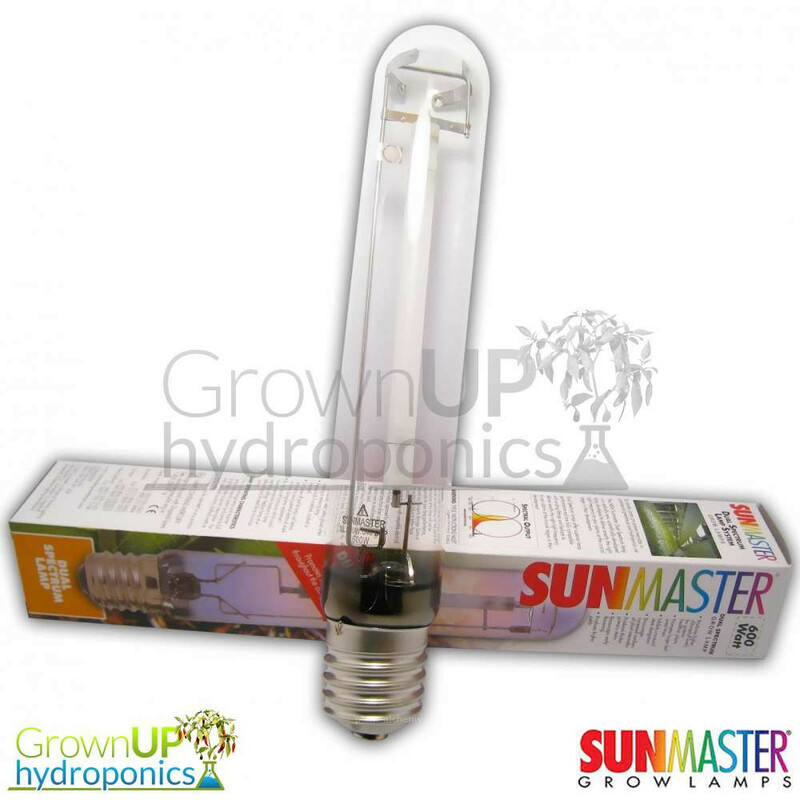 The Sunmaster Dual Spectrum lamp is scientifically designed and developed for the commercial and hobby grower. 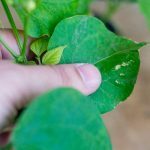 At different times in the growing cycle, plants require different types of light radiation. Immature plants have different needs to those about to mature. To maximise the potential of a plant and ensure that it grows strong and healthy, you need to deliver just the right kind of light radiation. These bulbs have been enhanced to produce the perfect balance of blue and red light and benefit your plants at crucial stages in their development. The Sunmaster Dual Spectrum lamp is scientifically designed and developed for the commercial and hobby grower. Although these lamps are produced to an extremely high standard, the performance will drop off over time. We recommend you replace lamps every 9-12 months to avoid diminishing harvests.